What follows are profiles of selected plants from the Atlanta Botanical Garden’s New Caledonia collection. When a plant that is not in the Garden’s collection but is essential to New Caledonia’s local ecosystems, it is included. 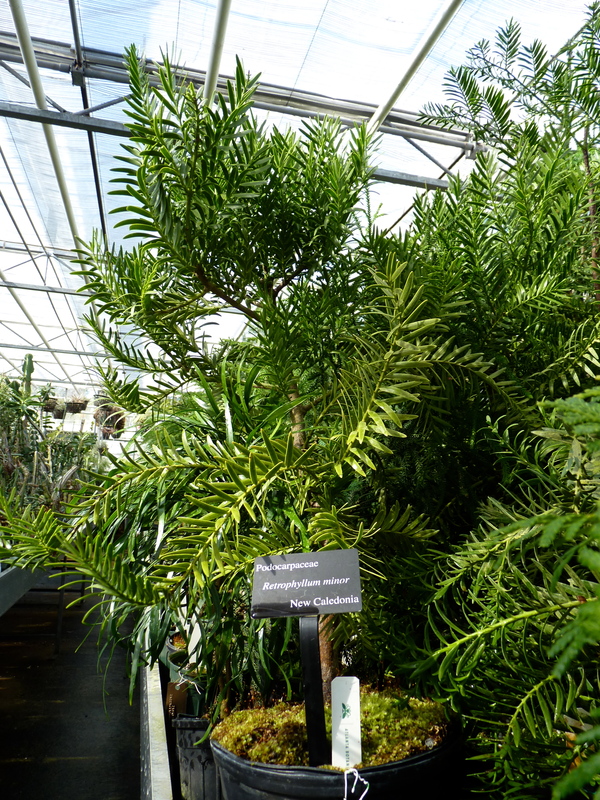 But unless otherwise indicated, the plants featured are from the collection. Many are on display in the Dorothea Chapman Fuqua Conservatory, but not all. Much of the collection is not seen by the general public, and these webpages are a chance for you to get to know the Garden’s larger collection. As libraries are digitizing their rare books, so too can botanical gardens make use of technology to acquaint the public with the very rare plants tucked away in their greenhouses. The species profiled include plants of ancient origin as well as those of historical and cultural significance to New Caledonia. With the exception of the Araucariaceae family and Amborella trichopoda, the plants are grouped into the local ecosystems in which they live in the wild: Humid forests, maquis, dry forest, freshwater wetlands, and mangrove swamps. In this way, you may begin to understand how the plants are adapted into their local ecosystems — some of the adaptations you may find quite surprising. These profiles are not meant for plant experts: they lack complete botanical descriptions that require a knowledge of botanical Latin and plant morphology. Instead, the profiles give you a sense of how the plants might appear to you in the wild, where they are found, and what makes them special. I’m so deeply indebted to you for this wonderful information. I spent most of a year on New Caledonia 64 years ago when I was 13 and 14 (1951-52) and am returning next month to revisit places I lived and visited, including the west coast (all the way to Tiabaghi in the far north) and the east coast (I frankly don’t remember just where). One of the things I remember was a trip with a PhD candidate in botany from UC Berkeley to the far southeast of the island. I’ve subsequently become very interested in the flowers of the Colorado mountains, so have been anxious to get information about New Caledonia flora. Your website is an answer to an unformulated prayer. Thanks so much. This is such a wonderful thing to hear. Thank you for sharing your kind words.